Michigan Department of Health and Human Services (MDHHS) is reviewing all pediatric and adult blood lead levels so we can appropriately compare these rates with other communities. Everyone screened on June 26 with elevated blood lead levels has been notified. They have been referred to receive a venous blood draw in order to confirm an elevated blood lead level. Due to high interest, we will now be contacting everyone with their screening results. 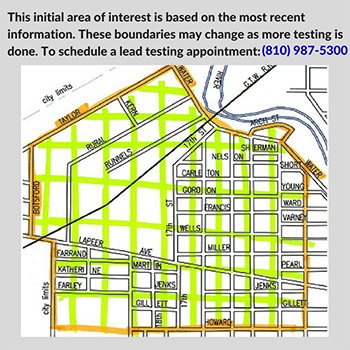 Do you have more questions about lead screening or need more information? Call our 24/7 Informational Lead Hotline at (810) 966-4160 or the Health Department at (810) 987-5300.